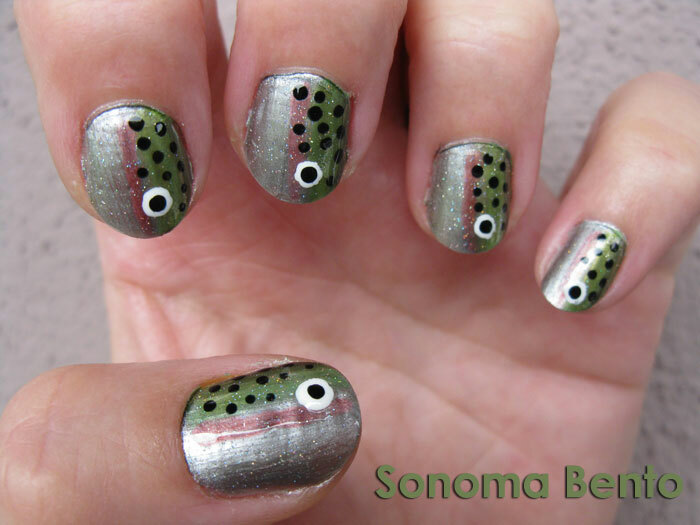 Trout Nails! These are actually fairly easy to do, so if you are a nail art novice, you could make these yourself without too much trouble. It's just a series of stripes for the base of the fishies, then some dots for the pattern and the eyes of the trout. If you have a second, I would love a vote in my favor this week. Here is the link to see all of the entries. 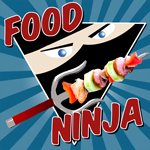 There are some really creative ones, even some sushi nails! 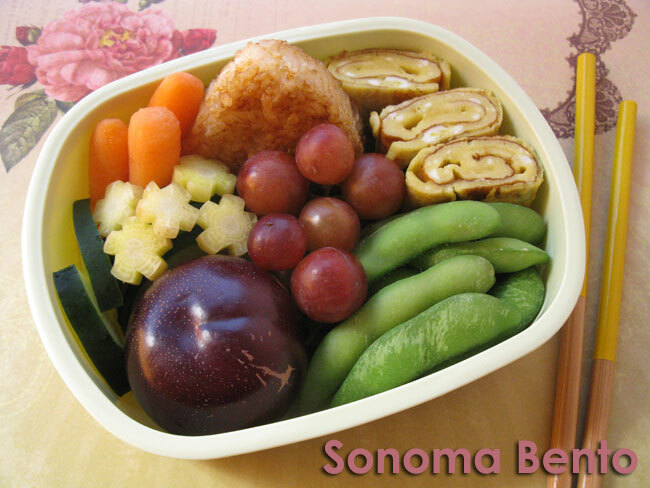 And here is a bento I made recently with some farmers market supplies: cucumber slices, orange baby carrots, yellow carrot 'stars' from The French Garden in Sebastopol, a yakionigiri rice ball, tamagoyaki omelette slices, edamame, grapes, and a plum from Hamlow Ranch. Ha! So cute - I love the little bug eye on each one. I LOVE this design! Good luck! Woh, your trouts are the best! The most realistic and stylish of all the entries (I voted!) 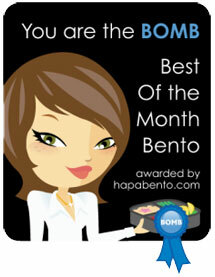 Next time you should enter your bentonails for sure! Or did you? And, how do ya love this summer? It's probably a bit hotter up there for youv but for us on the bay it's perfectly wonderful! !